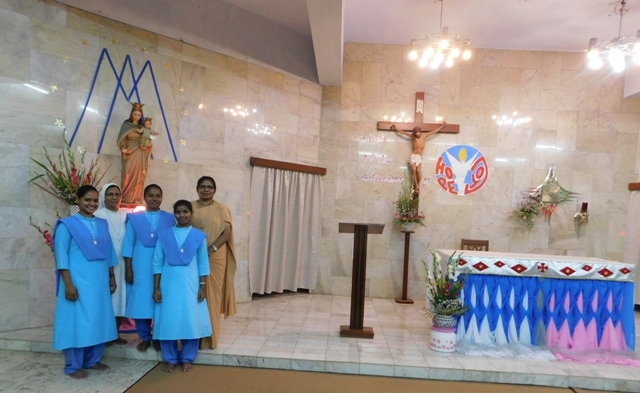 This evening we had the initiation of 3 Postulants Sobina, Mayuri and Quincyann into Novitiate. 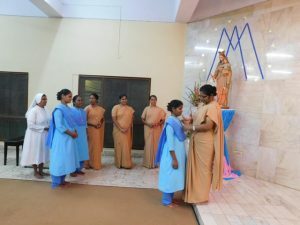 It was a simple and meaningful service where they were invited to deepen their understanding of their personal call in the spirit of Don Bosco and Mother Mazzarello. As a sign of their belonging to the Institute Sr, Rita Dora Thomas, Provincial gave each of them a medal of Mary Help of Christians. The service concluded with the hymn of consecration to God.